Judith Neugebauer, PhD, began BioEYES Utah in July 2015. Judith's excitement and ingenuity compliments her talents as an inquiry based instructor. 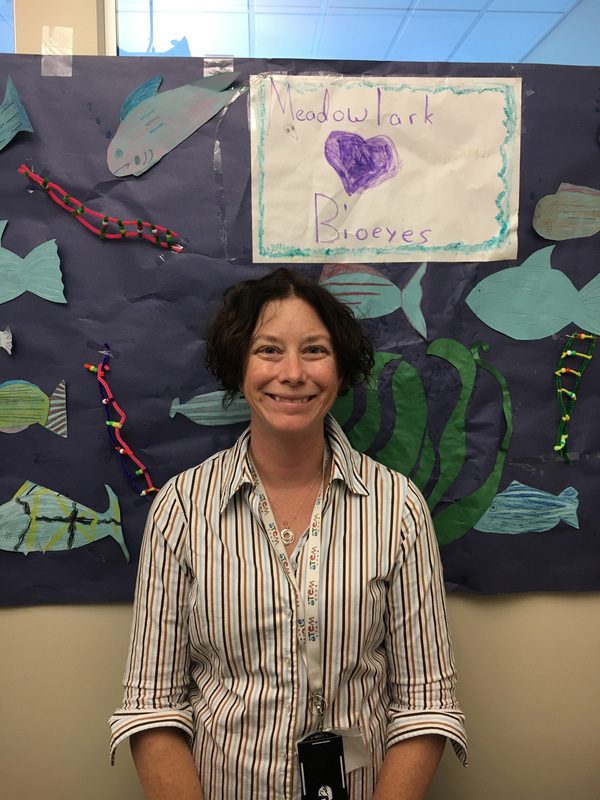 Fueled by personal experiences teaching science in elementary school and a clever craftsman, Judith has helped bring BioEYES across the country with our first West Coast site. An active outdoors woman and veteran biologist, read more about Judith below! How long have you been with Project BioEYES? I started BioEYES Utah in July 2015. What is your title and role in Project BioEYES? I am the program manager and outreach educator for BioEYES Utah. This means that I teach in the classroom and I write grants to fund the program. What's one or two previous positions you held? Before joining BioEYES I taught genetics at a local liberal arts college called Westminster. This was a lot of fun to teach, and learn, with undergraduate students. What brought you into the realm of informal science education and non-profit? When my oldest boy was in second grade I started teaching science in his classroom. It was there that I discovered how fun teaching second graders is! It was about that time that the idea of BioEYES Utah was being tossed around. As a graduate student I used zebrafish to learn about heart development. BioEYES Utah gave me the opportunity to combine teaching 2nd graders and zebrafish! What is your favorite part about working with BioEYES? Hands-down the students! There is nothing more amazing than their infectious enthusiasm. Watching the students look in the microscope and see the larva for the first time is a delight that fills me with joy every time. Do you prefer one breed of Zebrafish over the others? I love all my fish equally! We work mostly with the WT (striped) fish but I think the albino (no stripes) makes an excellent learning tool for the students. We have a model of DNA that shows the single nucleotide difference that makes the zebrafish have stripes or no stripes and I think it is a great learning opportunity for the students to see how such a little change can make such a visible difference. When not teaching or working with fish, what are some of your hobbies? I love to go hiking, skiing and camping with my family! When getting away, where do you like to go? Recently, we have been driving down to Goblin Valley in Southern Utah. Here the rock formations look like “Goblins” and there are a lot of slot canyons and old mines to discover. What is one thing most members of the BioEYES community don't know about you? I love to make lace and knit! Using a bobbin and thread I make lace called tatting. Last year for Christmas I gave everyone in the office a tatted snowflake. I also love to knit sweaters for my kids, and maybe this year the dog too!